National Football League commissioner, Roger Goodell, recently issued fines and suspensions related to the “Bountygate” scandal that are unprecedented in league history in terms of their severity and scope. Goodell’s strong action has given me pause to reflect on the clarity that power — when used prudently but decisively — can bring to an organization, providing both direction and calm. In early March, the media began to report that a 3-year internal investigation by the NFL revealed the New Orleans Saints had offered “bounties” (cash bonuses) for injuries caused to opposing players. A week or so into the media storm, Mr. Goodell announced suspensions and fines including: Saints general manager, 8 games; Saints head coach, Sean Payton, the entire 2012 season; and former Saints defensive coordinator, Greg Williams, indefinitely (but at least one year). All were suspended without pay (in Payton’s case, costing him most of his $7.5 million annual salary). When the news came out, you could hear the proverbial “pin drop” from the immediate shock. There was no doubt who was in charge, whether he was serious or not, and what was or was not acceptable in the league anymore. 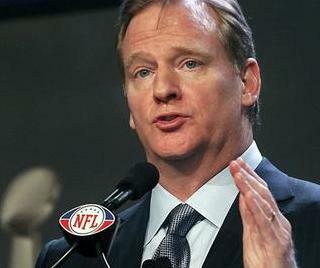 Mr. Goodell had made very clear what wasn’t up for debate. After trying and mostly succeeding to post once per week for most of the past eighteen months or so, I’ve hit a bit of a dry patch – letting more than two weeks pass since my last post. It’s been somewhat of a tumultuous period in our office, which has left me a bit tentative regarding my reflections and observations. This too shall pass, as they say, I’m sure. In the meantime, though, I recall a wise person telling me, “When you’re struggling with something, it’s often helpful to go beyond yourself – to change your mindset by focusing on helping others.” Very good advice, indeed. To that end, I wanted to share with you brief notes on four fellow members of the HR/leadership blogging community from whose wisdom I have benefited greatly over the past few years. They’re each deeply thoughtful and intuitive about different aspects of the human condition we call “leadership” or “management,” and it is a privilege to recommend them to you. Young Leaders – John Demma is a young manager who writes insightfully about what it is like to be a young manager – the struggle to learn the craft of guiding and motivating others, balancing just-learned grad school lessons with the realities of the school of hard knocks that is the real world of business, and juggling it all with the pressures and joys of a young family. Written with an authentic, earnest voice, John posts regularly at On Becoming A Leader. Day-to-Day Management, Part I – As someone who struggles to write anything in less than 700 words, I greatly respect those amongst us who can get to the point and regularly share three or four helpful nuggets of advice in 300 words or so – and do it five days a week, to boot. Experienced executive and blogger, Stephen Meyer, is just such a person. With a been-there-done-that credibility, he shares immediately useful suggestions for managing employees, organizations, and HR issues at HR Café. Day-to-Day Management , Part II – In a similar vein, Sharlyn Lauby, aka The HR Bartender, speaks with the authenticity of someone who has been through the wars and survived to tell the tale – but always with a upbeat, forward-looking take on things that is nothing short of refreshing and inspiring. Similar in nature to HR Café in a number of ways (down to the food metaphor), Sharlyn somehow manages to offer her practical, eminently insightful advice and perspectives – without the world-weary skepticism or snarkiness that often infects other HR blogs — on a daily basis at HR Bartender. Executive Leadership – For rising leaders, or those who advise and guide them, executive coach and leadership expert, Scott Eblin, is absolutely required reading. A former Fortune-500 HR Vice President at a young age, Scott now advises leaders around the world who are striving to get to the Next Level (the name of both his book and his blog). Scott has a remarkable ability to view current events through the prism of leadership and offer three or four insights you can use every time out. He can be found at Next Level Blog. 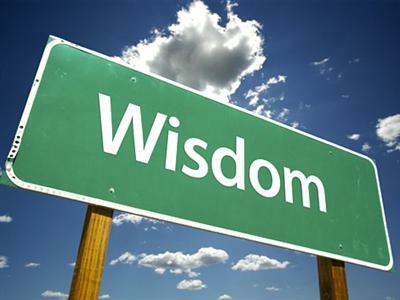 Have you ever had an idea or theory that went against prevailing wisdom, but you knew it would work, anyway? This is one of those ideas! Today’s idea is sharing the bulk of your planned interview questions with the candidate in advance (i.e., when the interview is scheduled) — instead of springing questions on them under the “hot lights” of the interview setting. The goal is to put the candidate in a position to tell you the most relevant information about their skills — avoiding a game of “gotcha” where the most quick-witted (but not necessarily most skilled) candidates beat out the reticent (but possibly more qualified) candidates every time. Is “Only Extraverts Need Apply” A Good Plan? (No). My good friend and colleague, Bill, is fond of saying, “We stand from where we sit.” I’m not sure if this is really a southern expression or just something he made up — but the truth of the statement rings true. That is, we all see the world through the lens of our own life experience. I fully acknowledge that this holds true in terms of my views on interviewing. Having conducted dozens of interview training courses over the years, I’m very comfortable training managers on writing “behavioral” interview questions (e.g., “Tell me about a time you experienced such-and-such — and how did it work out?) … and considerably less comfortable answering such questions. Having 20 years experience in HR, having stories to draw from isn’t the problem — but picking stories that perfectly fit relatively random questions is a problem for me. For the longest time, I thought this “disability” was unique to me. Then I read a brilliant new book — Quiet: The Power of Introverts In a World That Can‘t Stop Talking, by Susan Cain. In this compellingly written and deeply insightful book, I learned that this problem not only isn’t a dysfunction, it isn’t at all rare. It turns out that introverts (including yours truly) tend to prefer — and function better — in situations where they are able to give thoughtful, well-considered answers to questions, and tend not to excel in situations where time for thoughtful reflection isn’t permitted. This revelation helped thrust forward an idea that had been forming in my mind for a number of years. That is, what would happen if we gave candidates a number of the questions we intended to ask … in advance? For the extraverts amongst us, this would likely have no impact one way or the other (they don’t need the advance warning and do just fine thinking on their feet). For the introverts, though, this might set them up for success to the benefit of all involved. As candidates, they would have (and appreciate) the time to reflect on and formulate answers that provide the best and most relevant information about their skills and experience. And we, as the interviewers/hiring managers, would benefit by getting information about the candidate that is most indicative of their true skills and experience — rather than having to make hiring decisions (already an inexact science) based on information that may not reflect the candidate’s full experience and capabilities because they couldn’t immediately come up with a snappy answer to an out-of-the-blue question. Admittedly, I don’t know of any companies or organizations that currently provide their interview questions to candidates in advance … but I truly do believe it would work and help companies (and candidates) reap the benefits of a more substantive, reflective process. What are your thoughts?